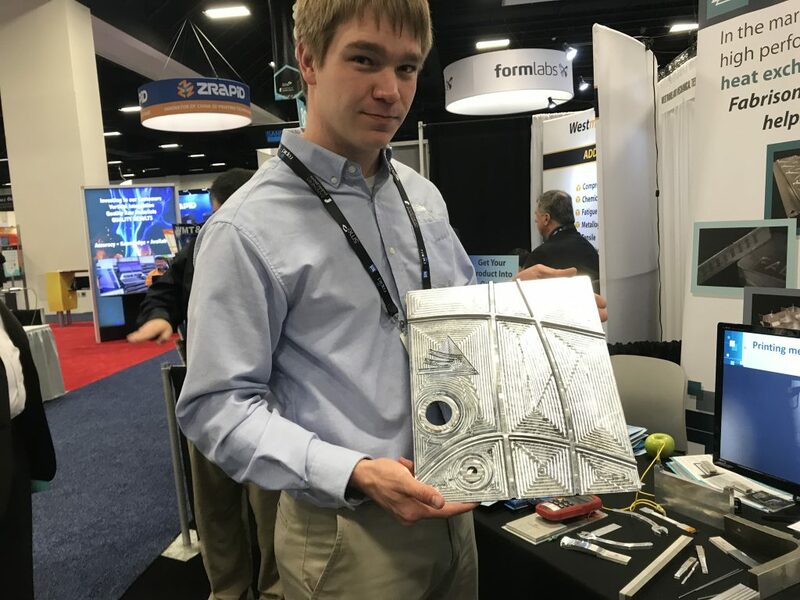 Many exhibitors and attendees of RAPID + TCT 2018 have 3D printed metal in mind when it comes to show floor innovations. Laser based processes are undoubtedly the most common in machines throughout the industry. However, the expense of the materials used in these machines has given rise to the popularity of processes that use cheaper, metal injection molding (MIM) powders as a primary feedstock. Challenges associated with the high temperatures needed in laser based processes have also opened up space for alternative technologies that work at a lower heat. Today, we round up some of the upcoming and alternative metal 3D printing process on show at RAPID + TCT, Fort Worth. 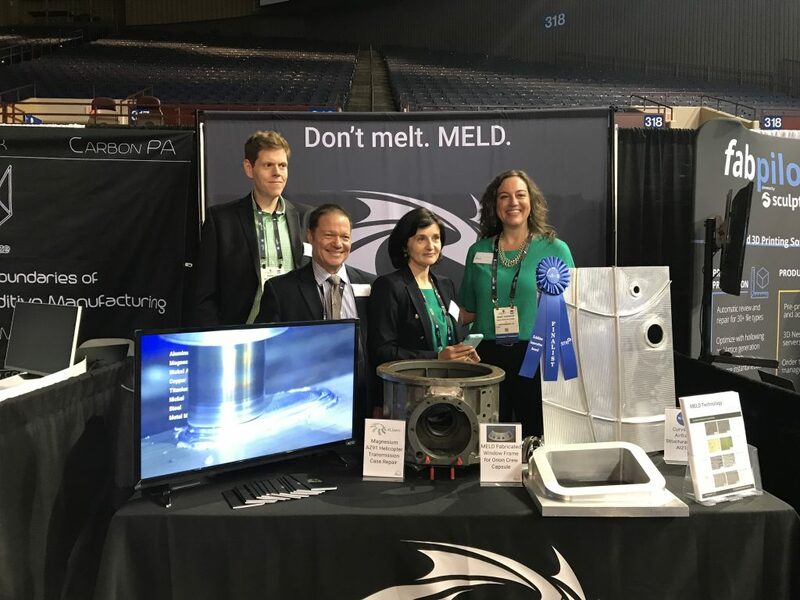 A subsidiary of Virginia based measurement solutions provider Aeroprobe, MELD Manufacturing is a newcomer in additive manufacturing that officially launched earlier this month. 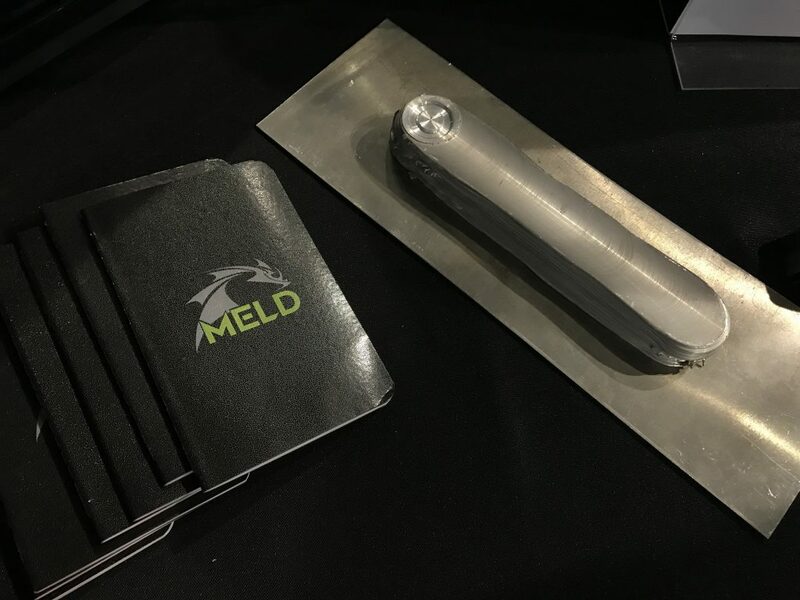 MELD’s technology is a solid state process based on friction stir welding. In place of melting metal feedstock, metals are melded together by a combination of pressure and friction. Nanci Hardwick, CEO of MELD and Aeroprobe, told me how, by removing melting from the additive process, “MELD can do all the things laser can’t do.” With this proven process, there is more material freedom that laser additive processes, and it has a comparatively higher deposition rate. While it is not ideal for intricate operations, e.g. making small, highly detailed parts, it is perfect for custom-making large pieces of metal equipment, or repairing previously unrepairable components as seen in a range of samples at the show. Already, Hardwick says, she is surprised by the ways that people imagine using the process. 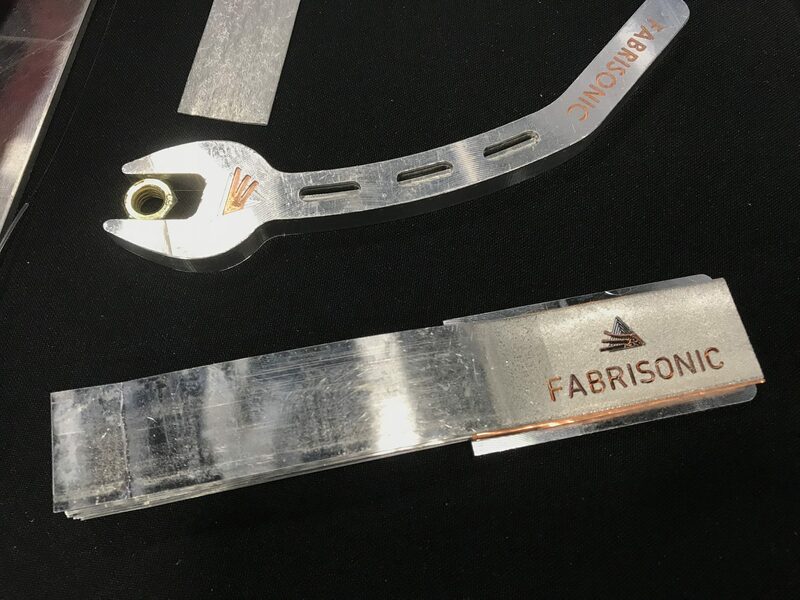 Fabrisonic is another company exploring the possibility of metal additive without melting. In place of lasers, Fabrisonic has an ultrasonic process that vibrates strips of metal at a rate of 20,000 times per second, per inch. At RAPID + TCT, Production Engineer Justin Wenning showed me some of the latest aerospace-grade applications of the technology. As a proof on concept, Wenning 3D printed a panel for the Mars 2020 Rover, consolidating multiple parts into one. The technology was initially developed with NASA requirements in mind, and aerospace remains Fabrisonic’s main industry of interest. The main barrier at the moment, Winning says, is that people just haven’t heard of Fabrisonic or ultrasonic additive manufacturing. Stratasys is teasing the release of its forthcoming metal 3D printer. At the end of the booth it is showcasing a cabinet of small metal 3D printed components made using the new technology. As with other lower cost metal 3D printers, the new machine will be leveraging the economy of metal injection molding (MIM) powder feedstock. However Phil Reeves, VP of Strategic Consulting at Stratasys, told me that the system does not take premixed, coated MIM powders like some others in the field. It will have a thermal post processing step, but the company has something further in store for this stage in relation to the supports. Parts will not need to be cut away from the build bed after printing. 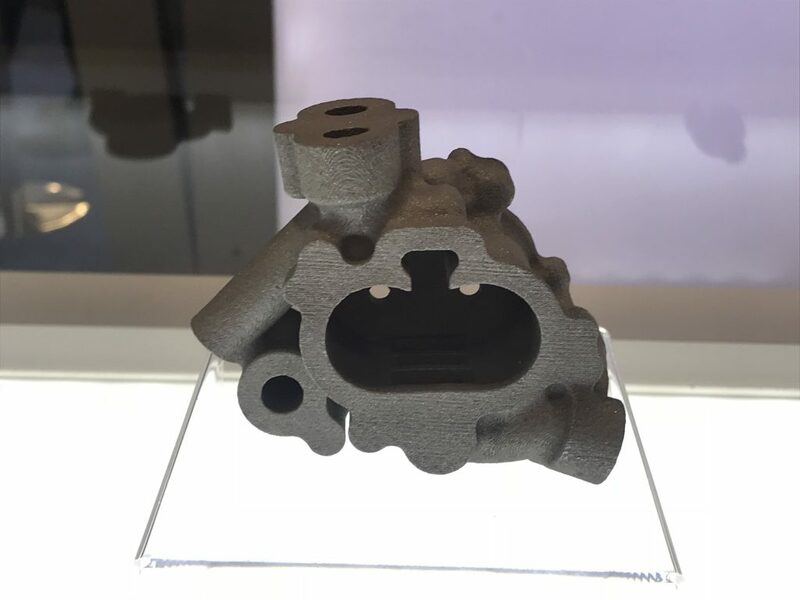 On release, Stratasys’ 3D printer will work with aluminum grades only – a metal that remains challenging to laser based processes due to reflectivity. Shorty afterwards though, the company will expand its 3D printers material portfolio to include new metal alloys. 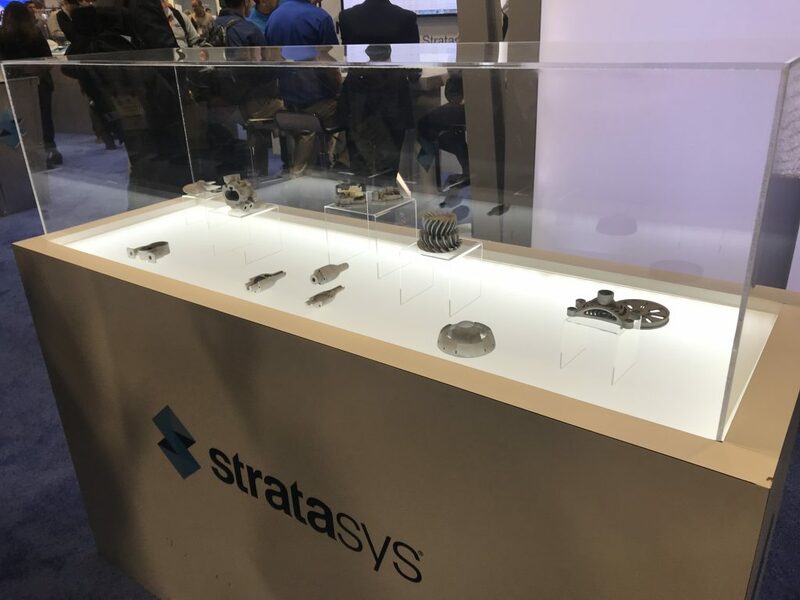 The Stratasys metal 3D printer hopes to compete against laser based machines in this field in two ways: firstly, it will have a lower cost per part, and secondly, it promises to be 7 – 9 times faster than aluminum printing with a laser. 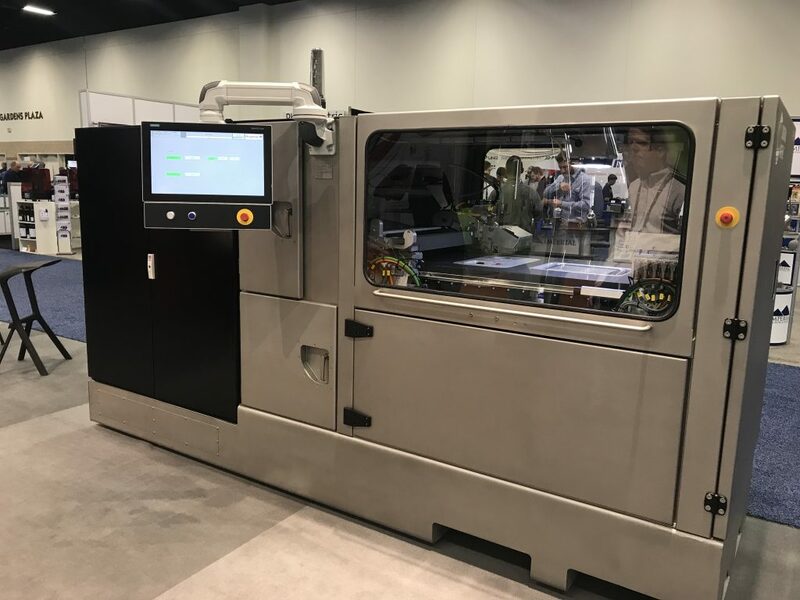 For the first time, Digital Metal is showcasing its DM P2500 metal additive manufacturing machine at RAPID + TCT 2018. The unscaled build platform of the DM P2500 is 203 x 180 x 69 mm. The scaled build platform (as parts shrink after printing) is 170 x 150 x 57 mm. Digital Metal’s particular strength in metal additive is the ability to produce complex, highly detailed small parts, the opposite scale of usual goals in metal AM. For more of the latest additive insights from RAPID + TCT 2018 subscribe to our daily 3D Printing Industry newsletter, follow us on Twitter, and like us on Facebook. 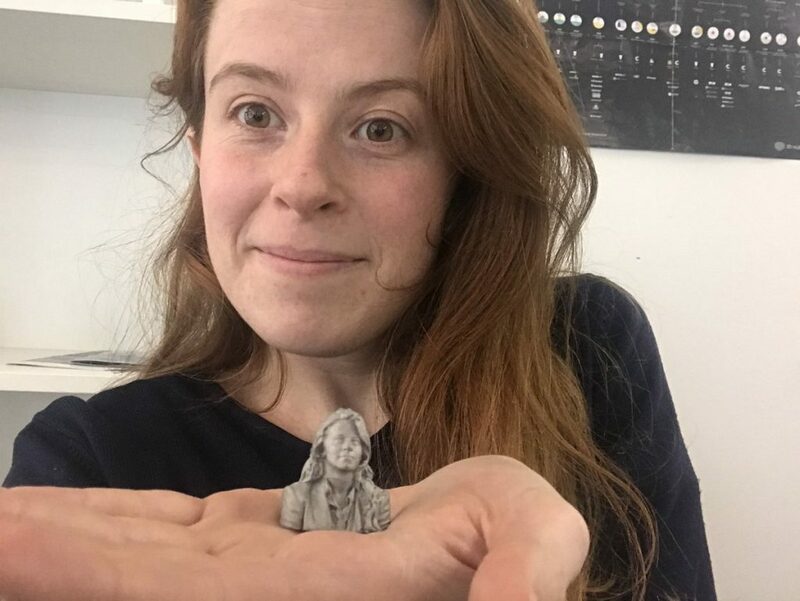 Find talent for a project, or advance your career in 3D printing. The 3D Printing Jobs board is live. Vote now the leading industrial additive manufacturing systems in the 2018 3D Printing Industry Awards.